Charlotte Ysusi is a 43 year old mother of three who is very ill; she has end-stage renal disease and is on kidney dialysis. 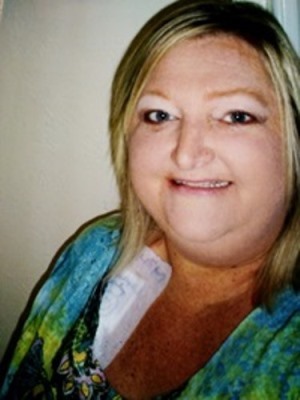 A kidney transplant is her only hope for survival. She needs our help because even with insurance, the cost of a transplant is overwhelming. Charlotte loves to be around her family and friends. With a kidney transplant, Charlotte will see her children, Logan, Nate, and Cami grow and she will have more time with family and friends. Charlotte’s goal is to get back to all of her duties. Our family is committed to seeing her through this transplant, but this is a challenge we cannot meet alone. Transplants are lifesaving but financially draining. Even with insurance, Charlotte will have out of pocket medical expenses including travel back and forth to the hospital, caregiver expenses post-transplant, and copays and deductibles. The biggest expense will be the very expensive anti-rejection medications that she will have to take for the rest of her life. To help with the financial burden of Charlottes’ uninsured expenses, a fundraising campaign in her honor has been established with HelpHOPELive, a trusted nonprofit organization that has been providing community-based fundraising guidance to patients and their families for more than 30 years. All donations are tax-deductible, are held by HelpHOPELive in the Midwest/West Kidney Transplant Fund, and are administered by HelpHOPELive for transplant-related expenses only. Please consider making a contribution by clicking donate now. Power in the blood cuz. You were bought and paid for. HOLD THE FAITH! Hang in there Charlotte! Praying for you!